Earlier this year we brought you the debut clip from Texas native and longtime Seattle resident John Hickman, “Hello Hello.” After a longtime career as an Aerospace Engineer, he’s now fully retired and calls Maui, Hawaii his home. It was in the early 2000s that a spark was lit in Hickman’s creative mind, and once his wife bought him a guitar for Christmas, he dove right in to his musical career. It’s an absolute delight to be working with John Hickman once again, and we have a feeling your viewers will fully embrace the “Cascade” clip as they did with “Hello Hello” earlier this year. Please let us know if there’s anything else we can do to get this into your most cherished programming! You can find out more by calling us at (732)-613-1779 or emailing us at info@HIPVideoPromo.com. 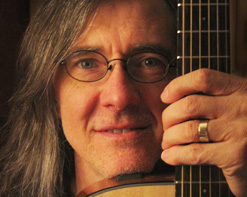 You can also visit www.JohnHickmanMusic.com for more info on John Hickman.